Availability for The Ultimate USA escorted tour from Scenic Tours is now down to the last few spaces. (TRAVPR.COM) UK - May 18th, 2014 - Demand has been high for all of Scenic Tours’ fully-inclusive escorted tours, with spaces selling out and new dates being added across many of their holidays. The Ultimate USA tour from Scenic Tours is just one of these incredibly popular tours and availability for this escorted tour is now down to the last few spaces. With most dates sold out already, those who have yet to book will need to act fast. There are spaces remaining on the 24th September departure date for those who wish to embark on an incredible tour of the USA in 2014, and there are also spaces left on the 5th March 2015 departure date for those who would rather see some of America’s most iconic sights during spring of next year. This is the final opportunity this year to book your trip to visit New York, Las Vegas, Yosemite National Park, San Francisco and more, and to enjoy spectacular experiences such as flights over the Grand Canyon and San Francisco Bay. Plus, those who book before 30th May will save £1,000 per couple on a dream trip to America. 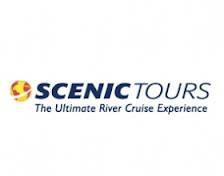 Contact Scenic Tours today to book one of these last few spaces on The Ultimate USA tour by calling 0808 102 0154 and speaking to one of their specialist advisors.